Knowing very well that the Philippines is blessed with some of the most 'megadiverse' ecosystems in the planet, the Department of Tourism (DOT) on Friday sought for nominations of best sustainable tourism products. DOT is urging nominees to join the first ASEAN Sustainable Tourism Awards (ASTA), which is meant to encourage the best practices among stakeholders based on the various ASEAN Tourism Standards. ASTA seeks the best sustainable rural or urban tourism products -- proposed and implemented by public and private sectors -- which deserve a better visibility in the ASEAN market. It is also meant to cascade tourism supply towards less popular destinations. 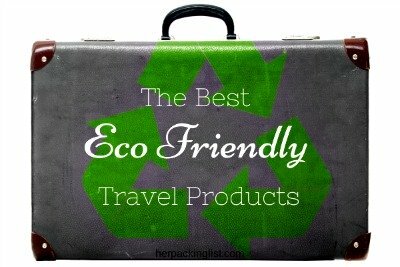 “…As tourism flourishes, it likewise raises concerns over sustainable practices or the lack of it. The DOT cannot do it alone, we must take action and provide a response to how we as a region can advance our economic development plans,” Teo said in a press statement. DOT Director for Tourism Standards and Regulations Rica Bueno said ASTA is an ASEAN recognition of the best sustainable tourism activity involving a local community, accommodation, food & beverage, and public toilet implemented by public and private tourism stakeholders. Bueno further said that it also encourages stakeholders in the tourism value chain to be more environmentally-conscious and responsible in their business operations to achieve sustainability. “The sustainable tourism product must be any tourism activities, which includes a minimum of one overnight stay, local transportation, accommodation, food and beverage and a true experience with a local community,” Bueno said. According to overall project director, selection and evaluation of nominees will run from August to October 10, 2017. The awarding ceremony will take place at the ASEAN Tourism Forum in Thailand on January 2018. Rural or urban ASEAN destinations composed of a minimum of four stakeholders including a public partner (i.e. accommodation, public toilet, food & beverage and a local community) willing to join together with other local people or businesses for (i) the ultimate benefit of the local community and (ii) the transition of their destination towards sustainability may be nominated for the ASTA. Applicants and its proposed tourism product have to have at least one of the partners that has been bestowed a regional, national or international recognition (i.e. a label, a certificate, a certification, an award) within four years before this ASTA edition. Meanwhile, the proposed tourism product must respect the national and ASEAN legislation and policies regarding illegal human and animal activity; correspond to the annual theme of the ASTA, “Nature-Based Tourism” (2018); comply with the criteria of the chosen category of ASTA (urban or rural); include at least one overnight stay, one meal in a local food and beverage service, one activity involving a local community, one local guide/tour operator/travel agency, with an easy and free access to one toilet/restroom, and local transportation; and be existing at least for a year before the submission deadline and can be booked online or at least through one of the partner’s organization, providing direct and indirect benefits to local communities.